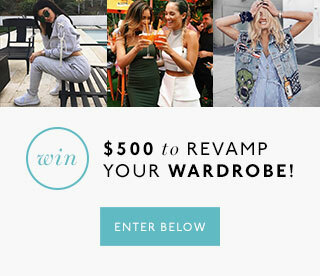 Win $500 To Revamp Your Wardrobe! But because we care about your fashion cred (we really do! ), we’re giving away $500 to spend on BNKR, Australia’s go-to for cool-girl style. Whether you’re looking to rock monochrome, try eclectic prints, or totally overhaul your look this year, BNKR has the clothing, accessories and footwear to help you do just that. We’re talking C/MEO COLLECTIVE, Finders Keepers, Keepsake, and The Fifth—labels that will take you from drab to fresh and fab in no time. To enter, all you need to do is fill in your deets below and you’ll be in to win $500 to spend on BNKR. Good luck! Terms & Conditions: Prize includes 1x $500 voucher to spend on BNKR. Competition closes 11:59 AEST, Thursday 11th February. Winners will be notified via email. By entering your email address, you agree to be added to the BNKR and The Urban List databases. Follow BNKR on Instagram, Facebook and Twitter for all their fashion happenings.